Plankton comes in many shapes and sizes – from organisms so small you’d need a microscope to see them to large jellyfish! As we mentioned in the last post, there are zooplankton (animal-like plankton) and phytoplankton (plant-like plankton). But there are lots of other subgroups of plankton! There are meroplankton and holoplankton and diatoms and dinoflagellates…but what do all these words mean? Meroplankton are plankton for only part of their lives (usually the larval stage). Common examples are the larvae of sea stars and urchins. Some meroplankton, like polychaete worms, go back to being plankton later in life! Holoplankton are plankton for their entire lives. They can be either phytoplankton or zooplankton. One well-known example of this is the Portuguese Man-of-War. 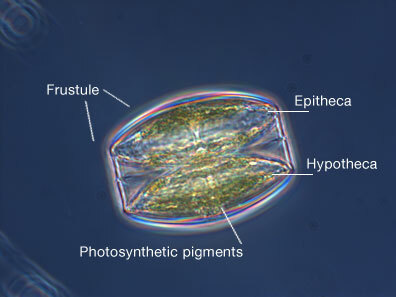 Diatoms are a type of phytoplankton that are encased with unique silica cell wall called a frustule. They are mostly unicellular but can exist as colonies. They usually have two asymmetrical sides with a split (hence the name). 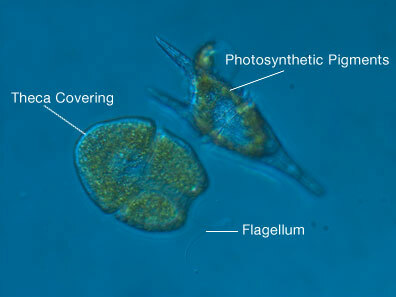 Dinoflagellates are protists that often have two flagella (whip-like appendage), allowing them limited movement. They have a sheath-like covering called a theca. So as you can see, there are LOTS of different types of plankton. Any given plankton can be a meroplankton or a holoplakton; a zooplankton or a phytoplankton; a diatom or a dinoflagellate! Next time you’re near the water just think about what different creatures might be drifting by! If you’re looking for unique and fun things to do with family and friends over the Thanksgiving weekend, the Port Townsend Marine Science Center (PTMSC) has something for everyone, including a children’s event, holiday sale and annual holiday cruise. A sing-along, children’s book reading and fun activities will be offered on Saturday, Nov 24th at 1 p.m. in the Natural History Exhibit. 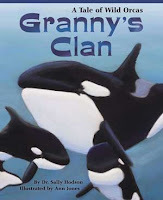 Steven Urbanc, a PTMSC volunteer, will sing his song, "Scoop the Poop," followed by an interactive reading of the children's book, Granny's Clan: A Tale of Wild Orcas, by author Sally Hodson. Copies of the book will be for sale and a book signing will follow the program. Get your shopping done early at the annual holiday gift shop sale located in the Natural History Exhibit. The holiday sale is Friday, Nov. 23rd through Sunday, Nov. 25th, from noon to 4 p.m. Discounts will be offered on all regularly priced items. Gift certificates will be available for the gift shop as well as PTMSC memberships, with all proceeds supporting PTMSC educational programs. 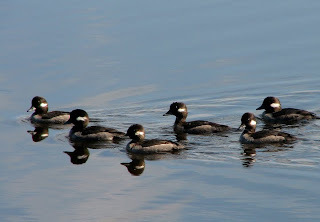 Take a late fall/early winter bird migration cruise on Saturday, November 24th or on Monday, December 31st. The trips leave from Port Townsend’s Point Hudson Marina at 1 p.m. and return at 4 p.m. Depending upon the weather, the cruise will go to Protection Island or south in the Oak Bay-Port Ludlow direction. These special boat expeditions, in collaboration with Puget Sound Express, will give you an opportunity to see and learn about numerous bird species as well as other wildlife. Cruises are aboard a comfortable, enclosed motor-yacht. The trips offer a unique opportunity for an idyllic natural science adventure, enabling people to gain a better understanding of our marine ecosystems and interrelationships which abound in these waters. 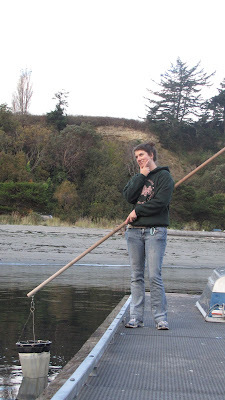 These cruises are part of the educational program at the Port Townsend Marine Science Center and are fun for all ages. Tickets are $55 per person ($50 for members of the PTMSC, Burke Museum, Audubon or the Washington Ornithological Society). For reservations, please call the Port Townsend Marine Science Center at (360) 385-5582 or 1 (800) 566-3932 or e-mail at cruises@ptmsc.org for additional information. 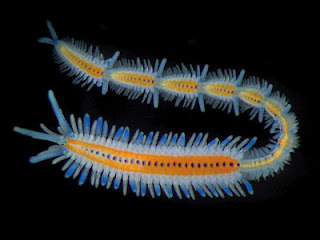 There are millions of this ocean species out there. They are subject to ocean currents and tides and unable to move about on their own. Plankton are also the building blocks of life in the ocean and ultimately life on earth. Providing countless ecosystem services, zooplankton and phytoplankton are pretty much the coolest thing out there. Picture the iconic image of Atlas holding the world on his shoulders… now replace that with a Plankton species and you have: duu dah dahhhh…. In fresh water AND sea water. For the purpose of this series, we will learn about plankton found in Puget Sound and the Pacific Northwest. 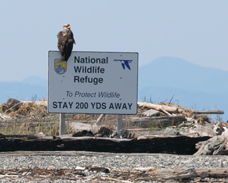 And find a typically tropical species in Puget Sound! Port Townsend Marine Science Center last year! With the ability to photosynthesize, sequester carbon dioxide from the earth's atmosphere, and produce nearly 90% of the oxygen coming from the ocean... You can't deny it! If you still beg to differ that plankton is most definitely the coolest living thing on planet earth… drift your way through the upcoming installments of this blog series and I have no doubt you will come to agree.